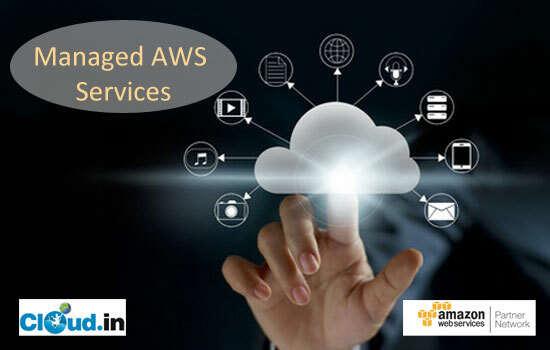 Cloud.in is an AWS Consulting Partner and AWS Channel Reseller Partner with a skilled, experienced team of professionals who strive to grow your business.Our team provides best services for your business, be it in any industry vertical. With extensive experience since past years and right set of skills we help clients achieve their goals. Our approach and framework makes your journey through the Cloud simple without any pitfalls. We ensure Business Continuity and management of your workloads in a smooth manner, ramping up your growth. We adhere to values that are designed to ensure that we put your needs first, and we always aim to deliver superior customer experience. As a Managed AWS Services Provider for you Cloud infrastructure we act as an extension to your existing system admin team. As a part of managed services we have been engaging with our customers to provide standard end-to-end solutions adhering to AWS Best practices. With our extensive experience in the industry, We have been driving innovation and helping customers transform their business model. We value you and so your investment, we aim to provide you most optimised solutions. With our Consolidated billing model, you can always have discounted and tiered pricing in place. All you pain areas are well assessed and taken care of by our team of experts. We tend to make your journey smooth and concise. We Help you move to AWSome Cloud.